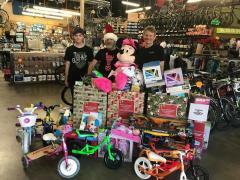 Santa Clarita Valley Sheriff's Station thanks the community and all of the businesses that helped make our annual Holiday Toy Drive a big success. 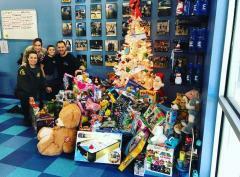 Community Relations Deputy Fanny Lapkin said the station received nearly 2,000 toy donations for all ages. 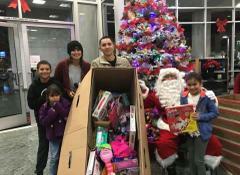 Santa Clarita Valley Sheriff’s housed a collection box in the station lobby to receive toy donations during the annual holiday drive that ran from Dec. 5 through Dec. 21, and over twenty local businesses also set up collection boxes, assisting SCV Sheriff's in collecting toys.